As an attorney at Whitfield, Bryson & Mason LLP, Jeremy Williams focuses on fighting for the rights of consumers in complex litigation. Since joining the firm in 2014 he has taken on leadership roles in large cases throughout the country, including: products liability class actions; class actions related to understaffing of adult care homes and fraudulent pricing schemes by insurance companies and pharmacies; complex business disputes on behalf of minority shareholders; and Medicaid fraud False Claims Act cases. In addition, Jeremy has represented owners in a number of lawsuits related to defective construction of residential and commercial real estate. Jeremy earned his law degree from Campbell University School of Law as part of joint degree program that also allowed him to earn his M.B.A. from North Carolina State University. Prior to beginning this dual degree program, Jeremy attended Elon University where he received his Bachelor of Science. While in law school, Jeremy clerked at both Whitfield, Bryson & Mason and a regional litigation defense firm based in Raleigh. After law school, Jeremy joined that defense firm, where his practice was focused on defending health care providers and businesses in litigation throughout North Carolina. Jeremy’s background defending clients in litigation gives Jeremy a unique insight into how the other side thinks, insight he now uses to help clients who have been wronged by another person or company. 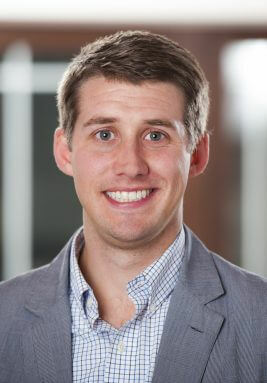 Jeremy is currently serving in leadership roles as a member of the board of directors for the Wake County Bar Association Young Lawyer’s Division and as the co-chair of the Young Ambassadors Steering Committee for SAFEchild, a non-profit dedicated to eliminating child abuse in Wake County, North Carolina. He has also previously served on the education committee for the North Carolina Advocates for Justice, as an executive board member of the Triangle Chapter of the Elon Alumni Association, and is a member of the Public Justice Foundation, the American Association for Justice, the North Carolina Advocates for Justice, the Wake County Bar Association, and the North Carolina Bar Association. North Carolina State University: M.B.A.
Campbell University School of Law: J.D. MDL No. 2577, In re: Elk Cross Timbers Decking Marketing, Sales Practices, and Products Liability Litigation (D. N.J.) (products liability class action related to defective composite decking materials) Status: Settled, estimated benefits to the class in excess of $20 million. MDL No. 2495, In re: Atlas Roofing Corporation Chalet Shingle Products Liability Litigation (N.D. Ga.) (products liability class action related to defective roofing shingles) Status: Active. Kimberly Negron, et al. v. Cigna Corporation, et al. (D. Conn.) (class action related to deceptive pricing scheme for generic prescription drugs) Status: Active. Jeanne T. Bartels, by and through William H. Bartels, Attorney-in-fact, et al. v. Saber Healthcare Group, et al. (Franklin County, North Carolina) (class action related to understaffing of adult care homes) Status: Active. Dorothy Forth, et al. v. Walgreen Co. (N.D. Ill.) (class action related to deceptive pricing scheme for generic prescription drugs) Status: Active. The United States of America and the State of North Carolina, EX. REL. Stephen Gugenheim, v. Meridian Senior Living, LLC, et. al. (E.D.N.C.) (false claims act litigation related to overbilling Medicaid for personal care services) Status: Active. Speaker, “ESI Essentials: What You Absolutely Must Know in This Day and Age About Electronically Stored Information,” (co-presented with Daniel K. Bryson) North Carolina Advocates for Justice Annual Convention, June 15, 2015. Guest Lecturer, “Introduction to Class Actions and Multi-District Litigation,” Campbell University School of Law, August 23, 2018.